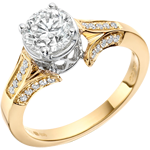 Round brilliant cut diamond set in cushion shape (soft square) halo yellow gold diamond ring. 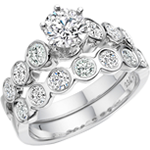 The band on the ring is broad and diamond set which creates a substantial looking ring. 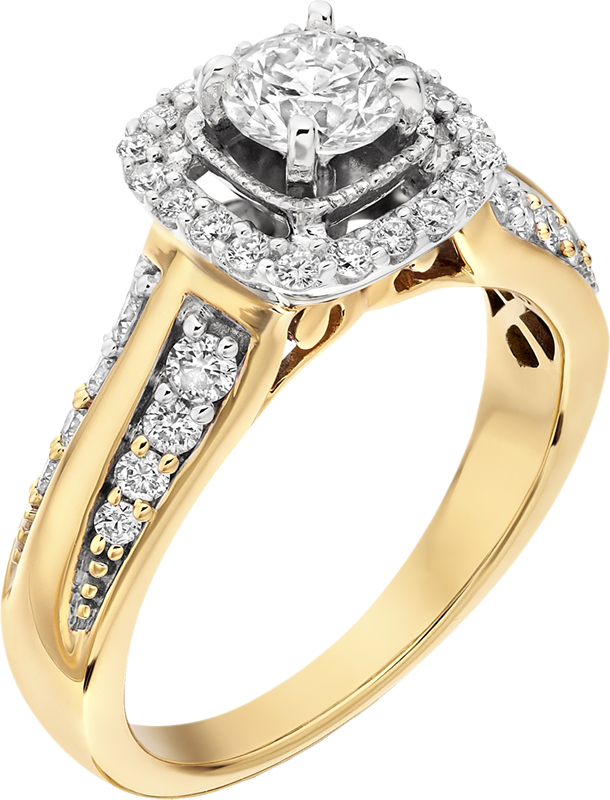 A cushion halo yellow gold diamond ring, such as this, creates a wonderful setting for a round brilliant cut diamond. 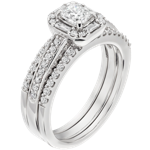 The contrast of the round brilliant cut diamond in a cushion or soft squre halo create extra detail to this charming ring. 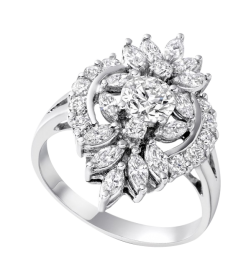 A lady torn between a round or square looking ring may find a cushion shape halo yellow gold diamond ring a great solution. 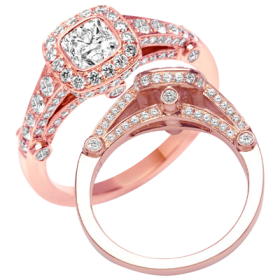 The round brilliant cut diamond set in a soft square halo offers the best of both worlds. 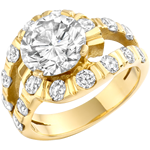 The yellow gold band of this halo yellow gold diamond ring is broad and fairly chunky. 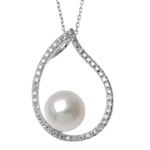 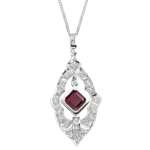 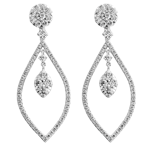 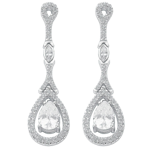 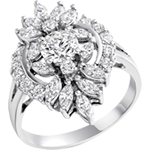 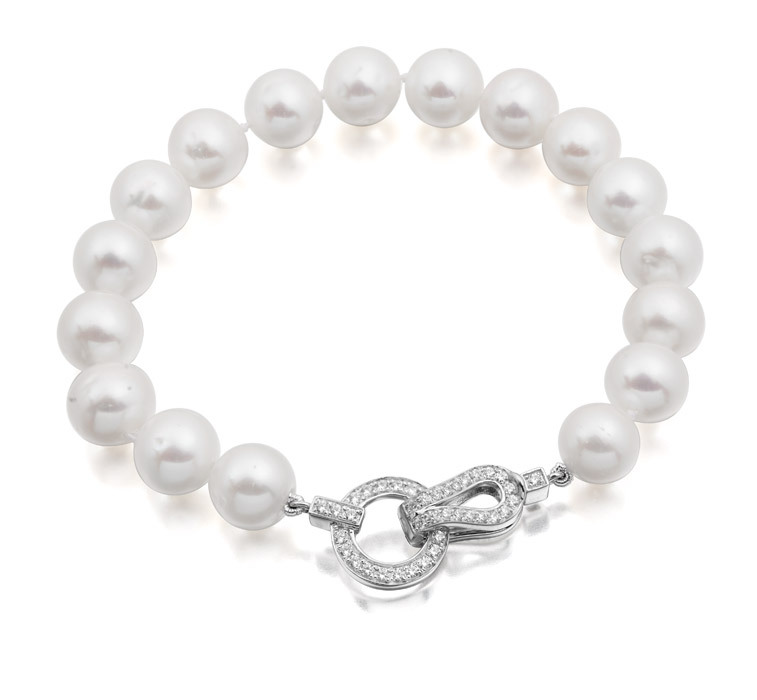 It is set with 2 rows of diamonds which makes it very feminine and glamorous. 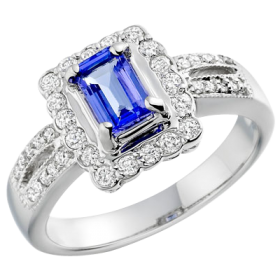 It is great ring for ladies with a longer finger because it looks very substantial on the hand. 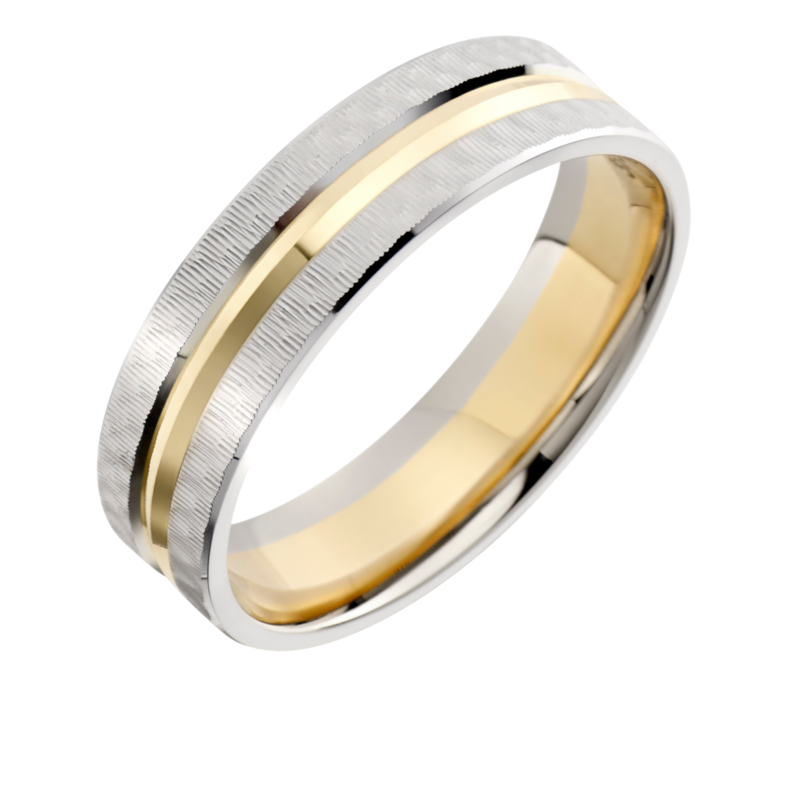 A fabulous 2 row yellow gold diamond wedding ring has been created to compliment this stunning yellow gold halo diamond ring.